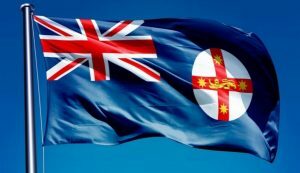 It is NSW Government policy to provide a New South Wales State Flag, free of charge, to scout groups, guide districts, recognised youth associations, and selected nonprofit, charitable and community groups which have the facilities to permit the proper flying or display of the flag on a regular basis. Please note that organisations which are confined to one activity (e.g. a football club) do not qualify for a flag. Did you know that in addition to a State Flag, NSW has a State flower, bird, gemstone, fish, animal and fossil? See the dedicated website to find out more. If your organisation qualifies for a State Flag, please contact my office on (02) 6555 4099.